Easy & delicious Dairy treat for any festive occasion. Brought to you from the kitchen of Tamar Gourment! 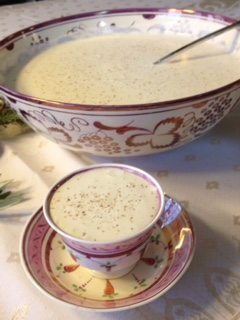 Egg Nog is a rich and sweet dairy beverage customarily served during... Hanukah! Yeah- that's it. Hanukah 😉 Adding a little alcohol to egg nog gives it a whole new dimension. This one uses Maple Whiskey from the Golan Heights Distillery!